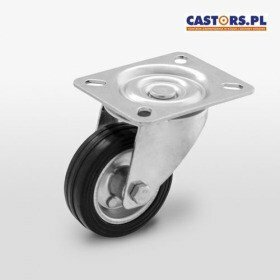 Metal-rubber wheels are designed for rolling at low speed. Used in machines or devices pushed/pulled manually. Their advantages are silent work and durability.They suppress the vibrations very well and do not destroy the ground. They are resistant to atmospheric conditions. Can work in the temperature range from -30 to +80 degrees Celsius. 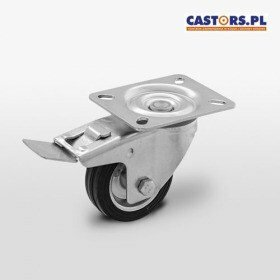 We offer metal-rubber wheelsets as swivel castors, swivel castors with brake, fixed castors. 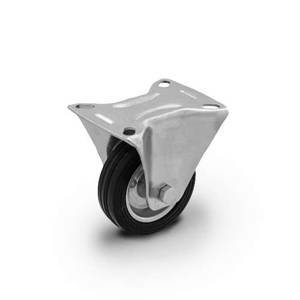 Metal rubber wheels are available in diameters from φ80 to φ200mm with roller bearings.